Memory Cafés have come to RI! One of the most difficult parts of advancing neurocognitive disorders, better known as dementia, is the isolation felt by the individual with the disease and their care partner. A Memory Café is an opportunity for individuals with all forms of memory loss, and their care partners, to meet others with similar concerns, socialize, learn new skills and support each other as they travel their path with dementia. The significant impact of providing care on care partners, in regard to their health, socially and financially, is an additional hardship. Memory Cafés help to bridge that hardship with resources, skills, support and friendships. The number one goal at all Memory Cafés is to have fun! Cafés are free and open to anyone with dementia, their care partners, family and friends. at The Museum of Work and Culture. 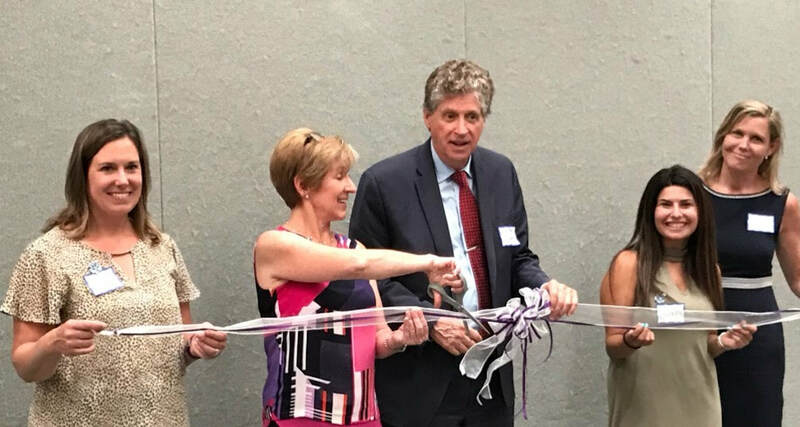 Ribbon cutting ceremony for the 1st Memory Cafe in RI.